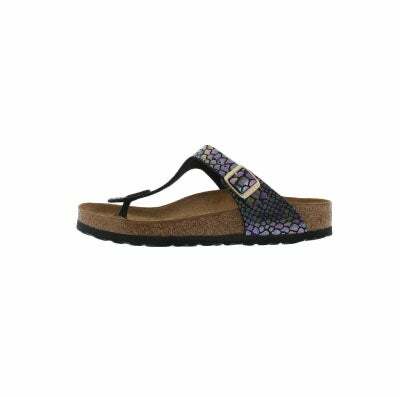 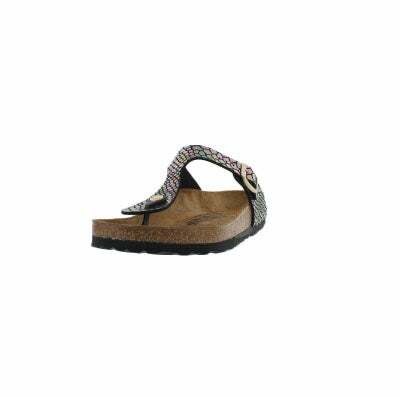 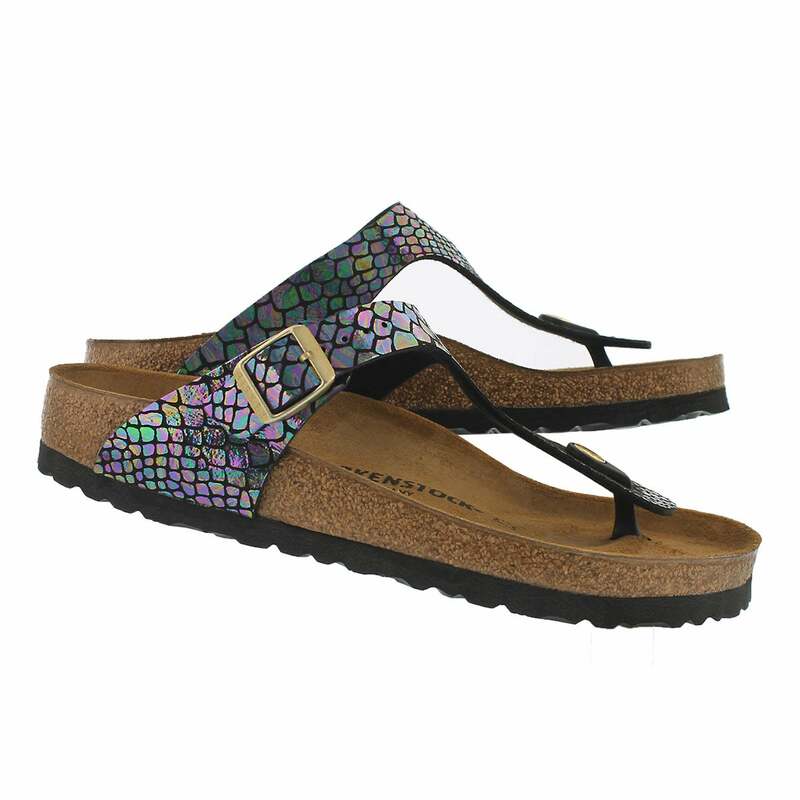 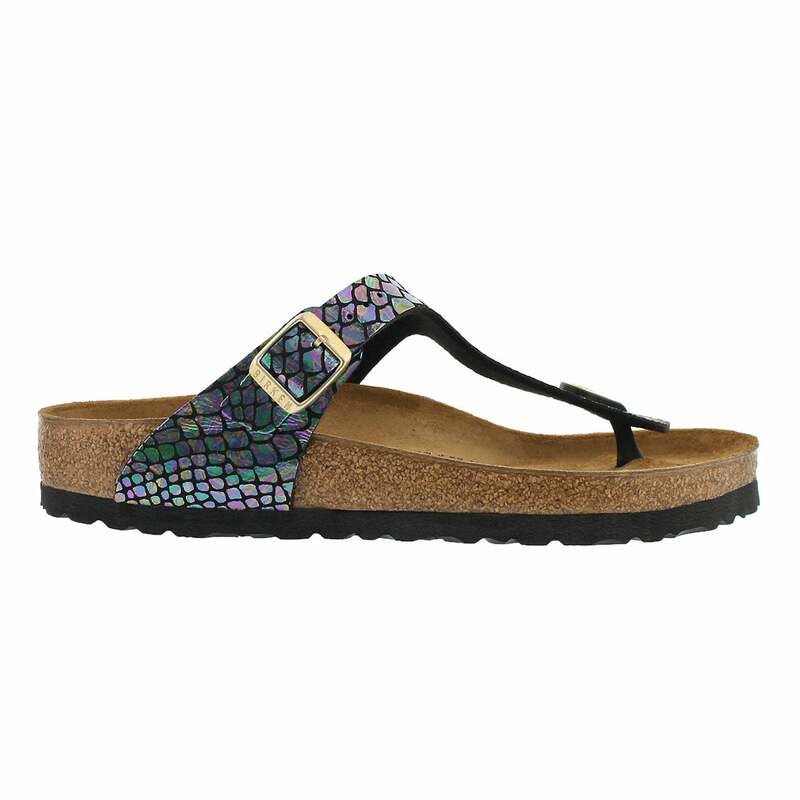 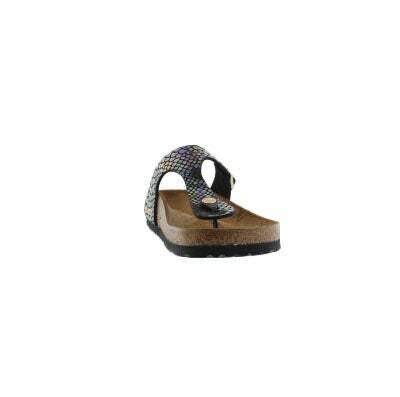 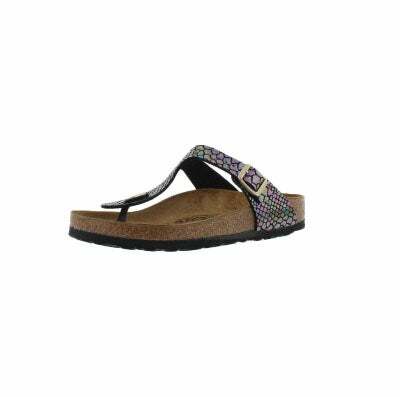 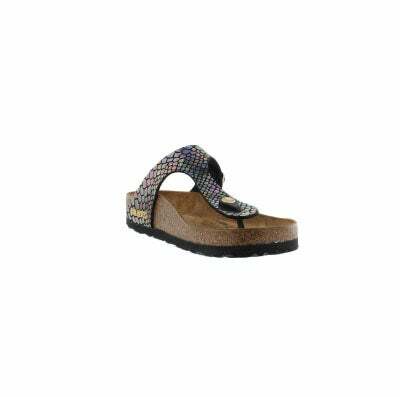 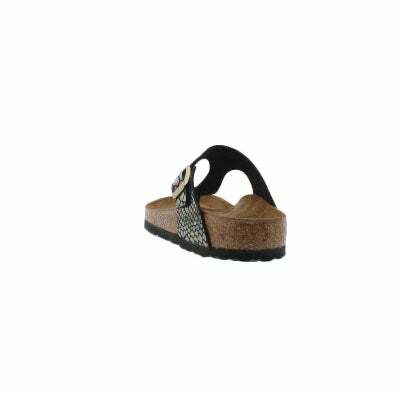 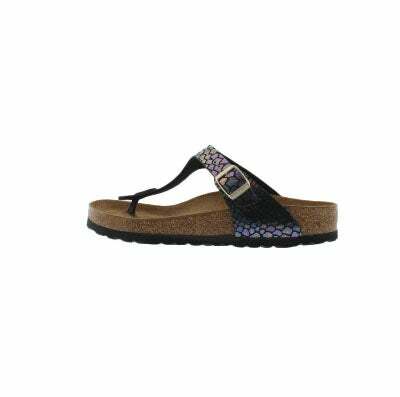 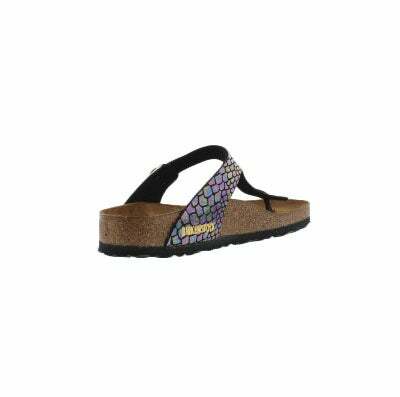 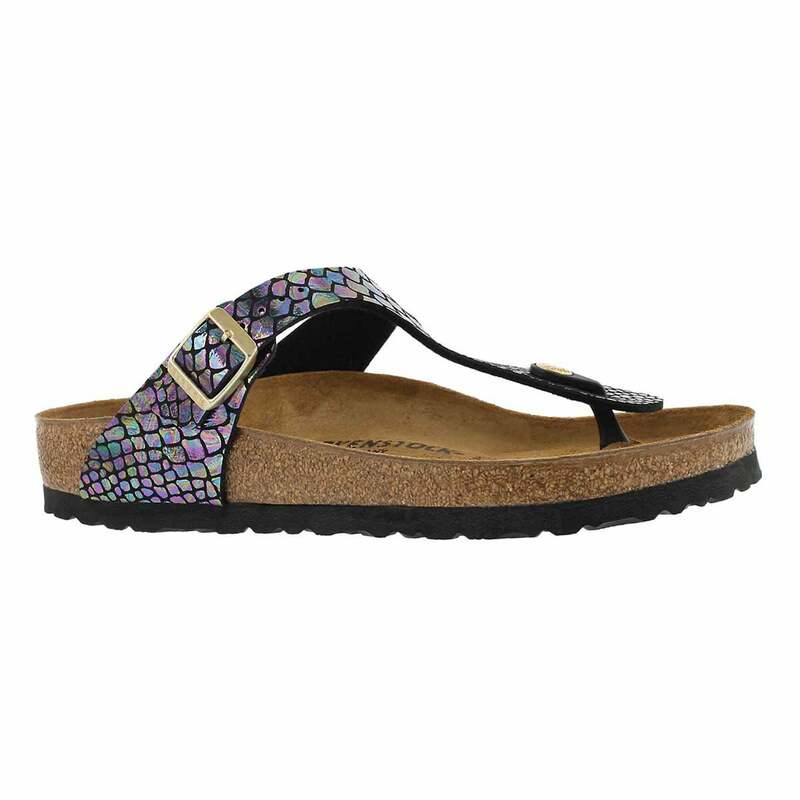 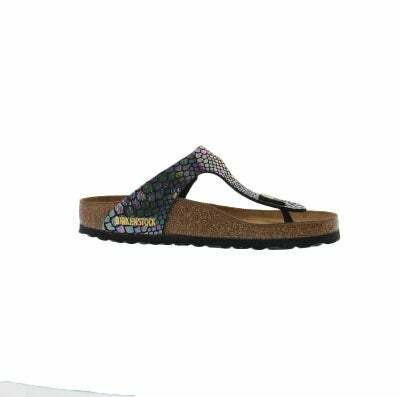 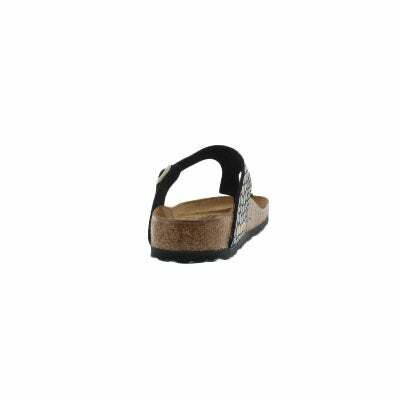 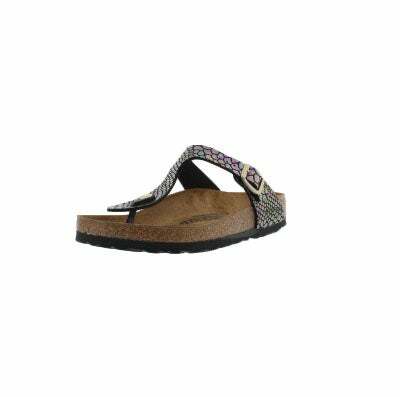 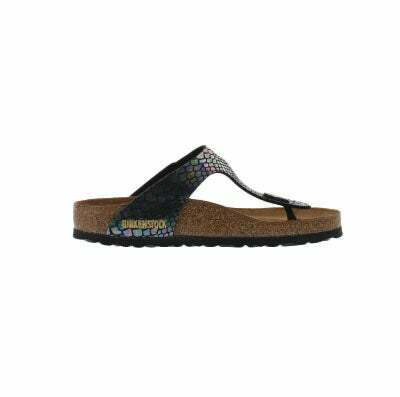 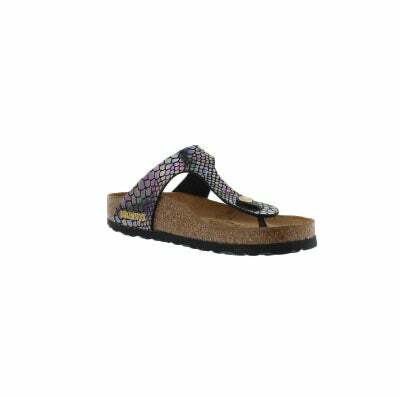 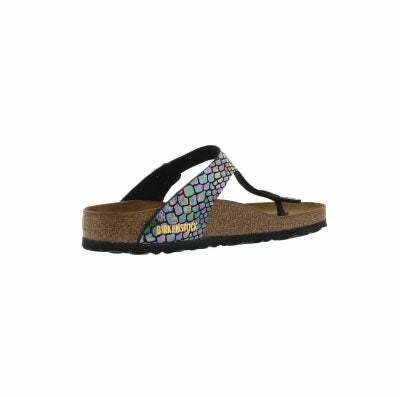 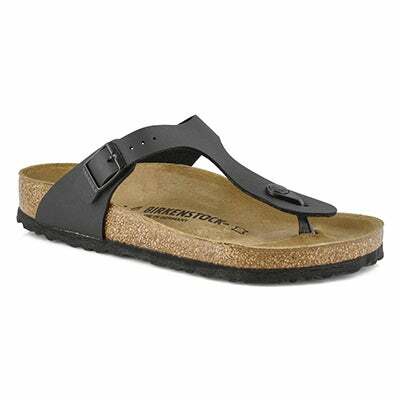 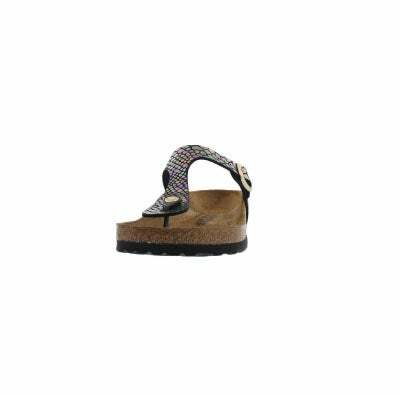 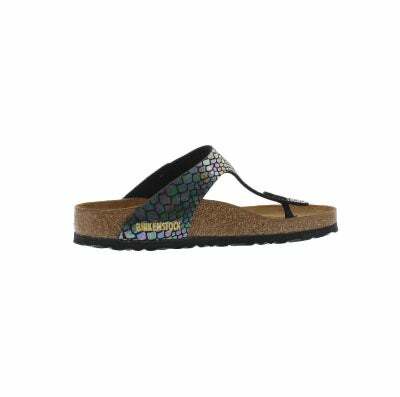 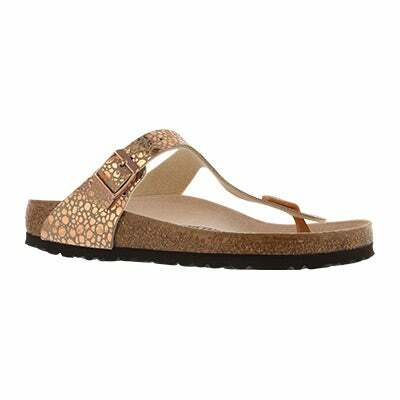 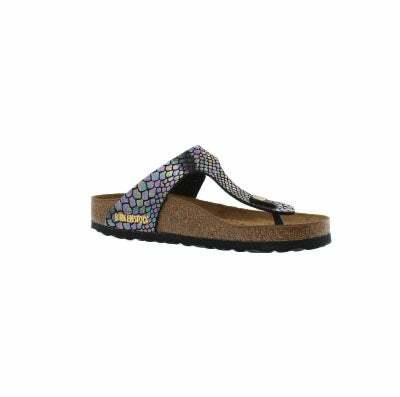 The GIZEH birko-flor shiny snake black thong sandal from BIRKENSTOCK with an orthotic footbed provides excellent arch and metatarsal support. 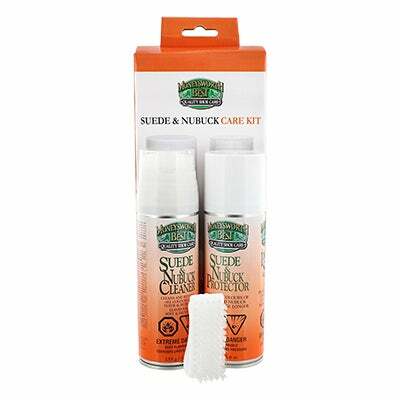 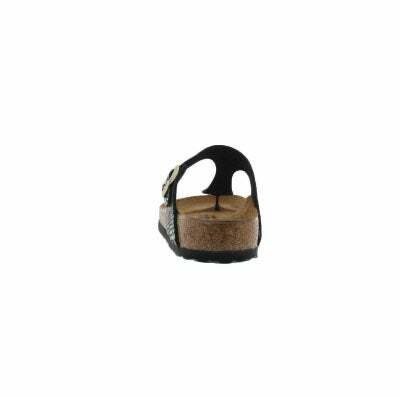 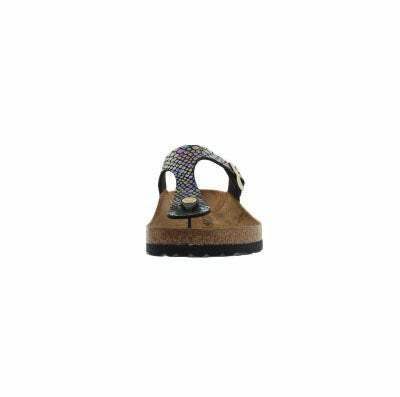 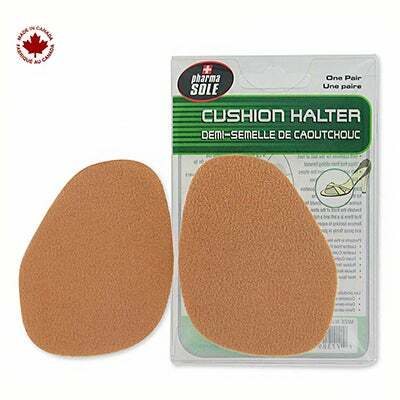 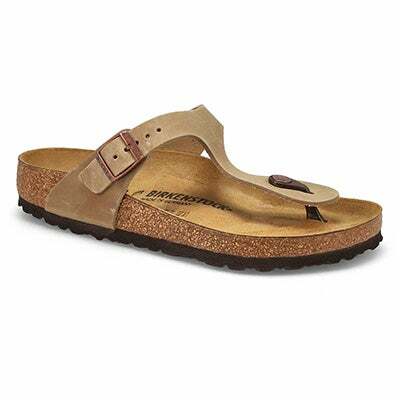 Durable EVA outsole, cork footbed molds to each individual foot to provide a custom fit. 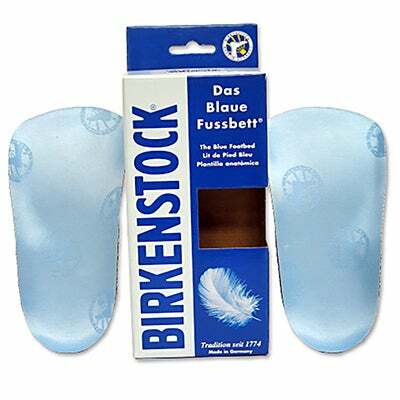 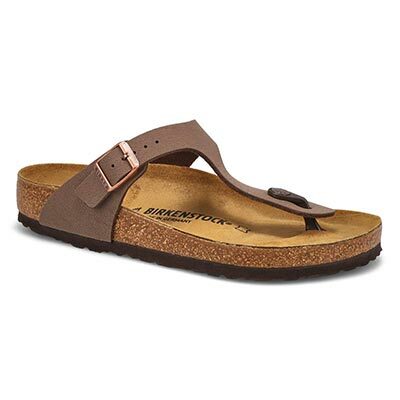 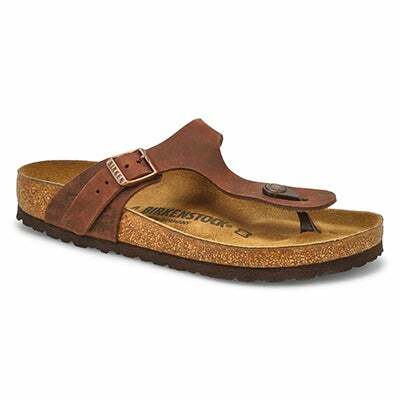 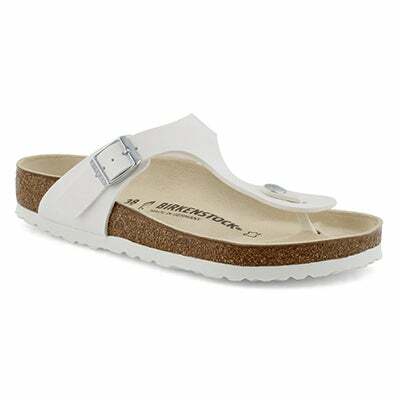 This BIRKENSTOCK sandal is a genuine classic, emphasizing the handcrafted and natural look of stylish sandals. 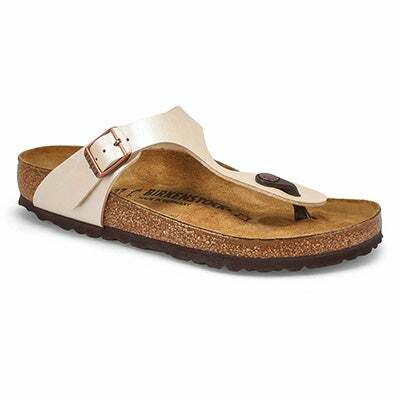 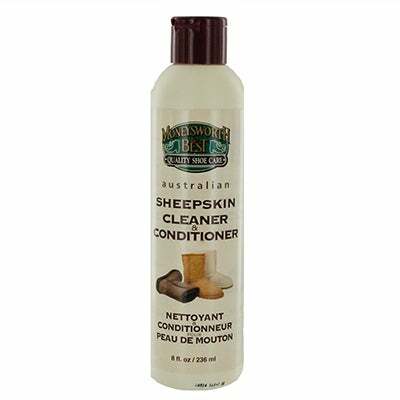 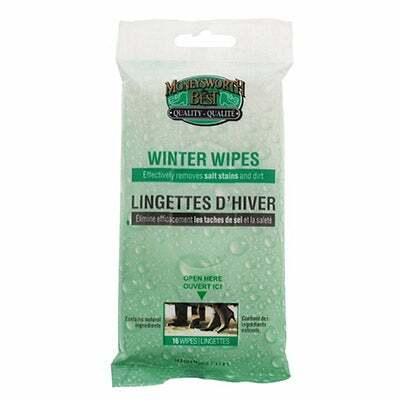 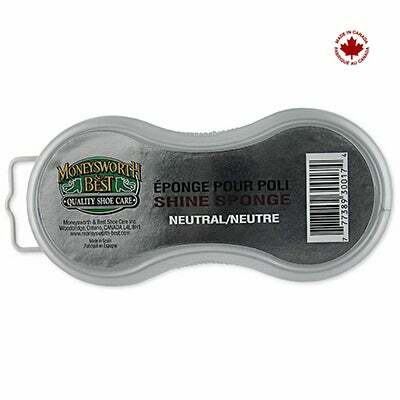 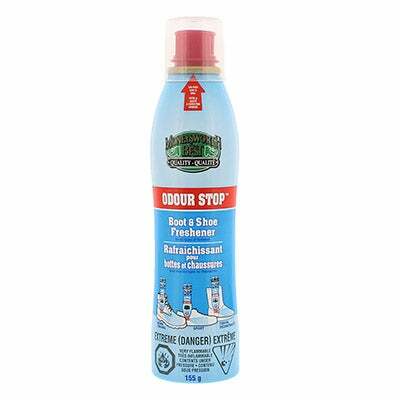 A comfort legend and a fashion staple.